At the Institute of Eye Surgery, we offer a full complement of eye-care and eye-surgery procedures, including AMD, Glaucoma, Cataracts, Oculoplastics, Ocular Surface Disease, Vitreo Retinal Surgery and treatment for Flashes and Floaters. We are Ireland’s only eye-care center of excellence and are staffed by the very best sub-specialty experts. We work closely with medical professionals, GP’s and Opticians to ensure patients receive timely, efficient care leading to excellent patient outcomes. 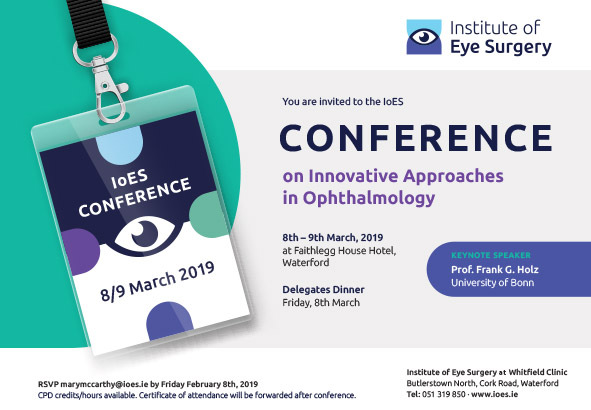 Conference on Innovative Approaches in Ophthalmology. Yes, please inform me about upcoming event about Eye Care & Surgery. Yes, please inform me about upcoming events on Eye Care & Surgery.